The Tauten Line Welder is an easier and stronger way to attach your hooks and lures to your fishing line. If your line snaps while fishing it can sometmes be difficult to tie on a new hook or lure because your hands may be wet and/or cold, with the line welder it takes only 30 seconds to weld and is stronger than a traditional knot. Would make a perfect gift for someone you know who likes to fish. Take a quick look at the video below to see it in action. The weakest point in a conventionally knotted line is the knot. Even the best tied knots will often fail before ultimate line strength is achieved whereas the joint produced by the Tauten Line Welder exceeds line strength. A lot of tablets come with a stylus these days but not many let you use a real pen. The Yoga Book from Lenovo is a 2 in 1 tablet powered by Android with a real pen. You can use the pen as a stylus for creating digital notes and drawings or you can place a piece of paper over the halo keyboard and draw or write for real and it makes a digital copy of your work. The device is very thin, light and powerful for multi tasking on the go. 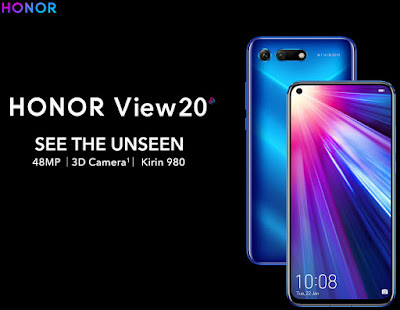 Honor is part of the Huawei Brand who have recently been putting out some of if not the best smartphones you can buy and the Honor View 20 is no exception. Its the first smartphone with the infinity O display to be released and also the first smartphone with a 48 megapixel AI camera with 3D. And the AI can not only recognise hundreds of different scenes and enhance the settings to get the best picture, it can also enhance subjects in real time while shooting live video, such as making a person look slimmer in the video. This claims to be the worlds smallest Bluetooth speaker, I'm not sure about that but it is very small, and its also very affordable at only $14.99. It is Bluetooth 4.2 and has a range of 30ft/10m, and even has a selfie button to use as a remote for taking pictures on your phone. If you want to know more check out the video below to see Lew from Unbox Therapy test out this little speaker.